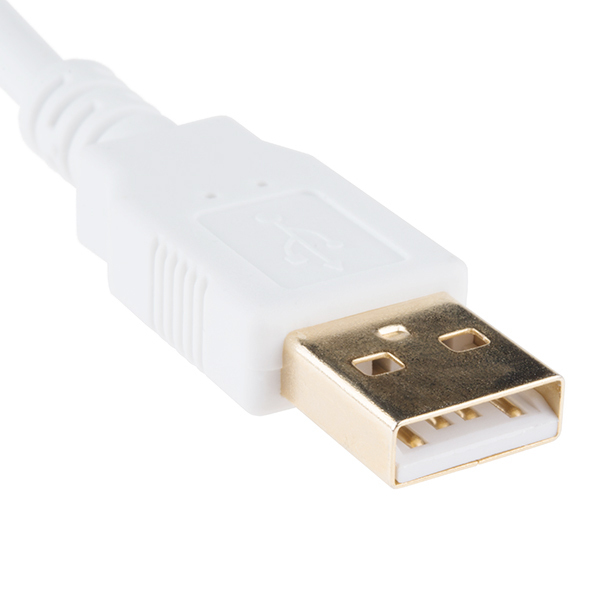 This is a 1.5' long USB extension cable equipped with type A male connector on one end to plug into your computer and a type A female connector at the other that allows for a second USB cable to be inserted. 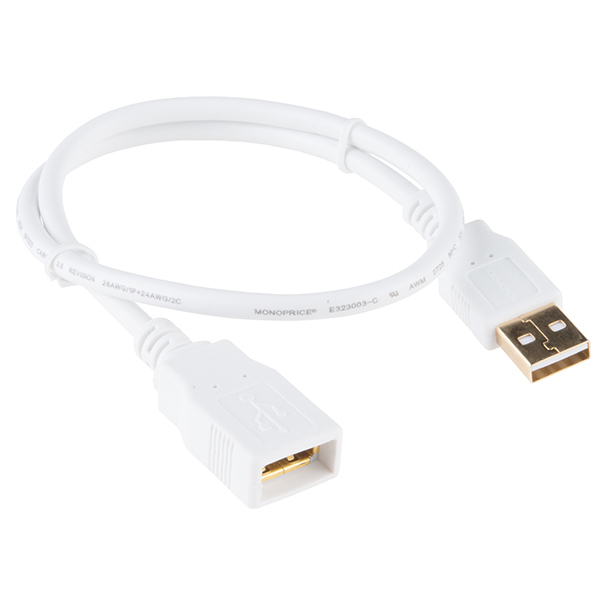 This cable is perfect for adding a periphery that utilizes USB without having it plugged directly into your computer while not cluttering your work area with its excess length. 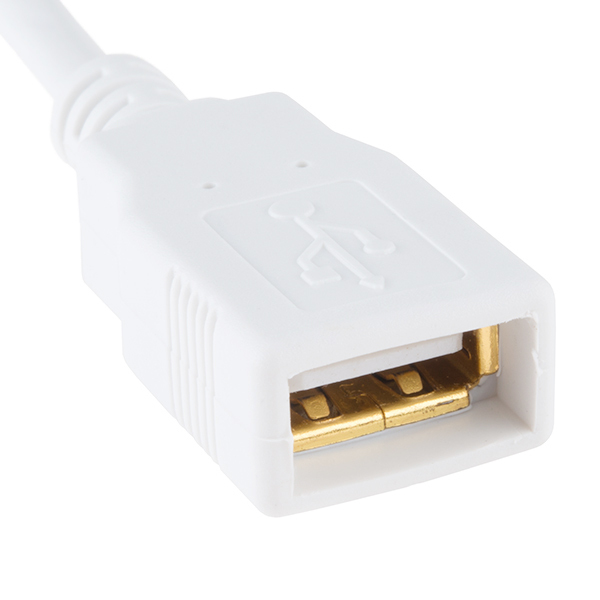 We use this cable a lot with MicroViews, RFduinos, and USB Breakouts.